We are seeking a President for internationally recognized ViVitro Labs. Reporting to the award-winning CEO of StarFish Group, the President will apply his/her strong technical and engineering background to develop and execute an ambitious growth plan for ViVitro Labs. ViVitro Labs provides testing services and equipment to support the continued innovation of cardiovascular devices with a focus on heart valve replacement and repair. An internationally recognized and trusted source for testing expertise, ISO 17025 certified, and with a reputable history of more than 25 years, ViVitro Labs is a small company relied upon by hundreds of organizations in over 40 countries for their consulting and custom engineering solutions to test the industry’s most advanced cardiovascular devices. 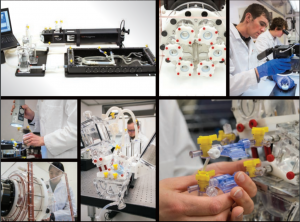 ViVitro Labs works closely with universities, medical device manufacturers and regulatory agencies to support their research, regulatory, and production requirements. As a leader in the heart valve testing industry, ViVitro is an active participant in several ISO working groups. ViVitro Labs is a small, tight-knit team looking for significant growth in the coming 5 years. The President’s role is to develop, oversee, direct and evaluate the strategy to successfully build on the excellent reputation of ViVitro Labs. The President will identify and evaluate key market niches, increase sales of current products, and recommend the direction of future business. This role requires a strong focus on business development, sales, operations, and R&D management, as well as public relations and marketing in order to see ViVitro Labs continue to build its capacity in the global marketplace. Report on meaningful metrics for the site, showing growth and improvement. Excellent verbal and written communication skills, including an ability to effectively communicate technical details to and with researchers. Comfortable with a culture of transparency and empowerment. Qualified applicants are encouraged to apply in confidence to TallSky Consulting with a resume and a covering letter that includes your salary expectations, and describes how your education and experience meet the requirements of this position. We thank all applicants who apply; however only those selected for consideration will be contacted. No phone calls please.